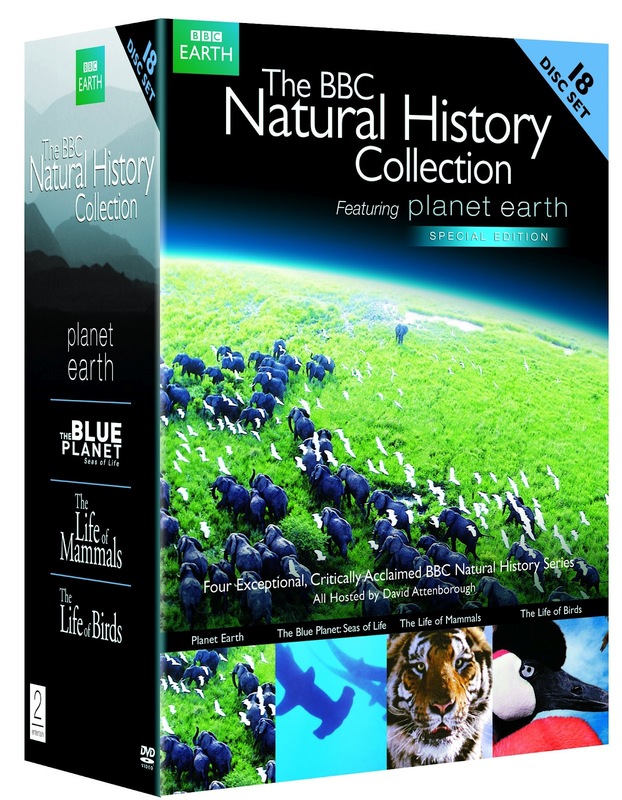 Thanks to BBC Home Entertainment, I have some amazing prizes to give away a lucky winner! 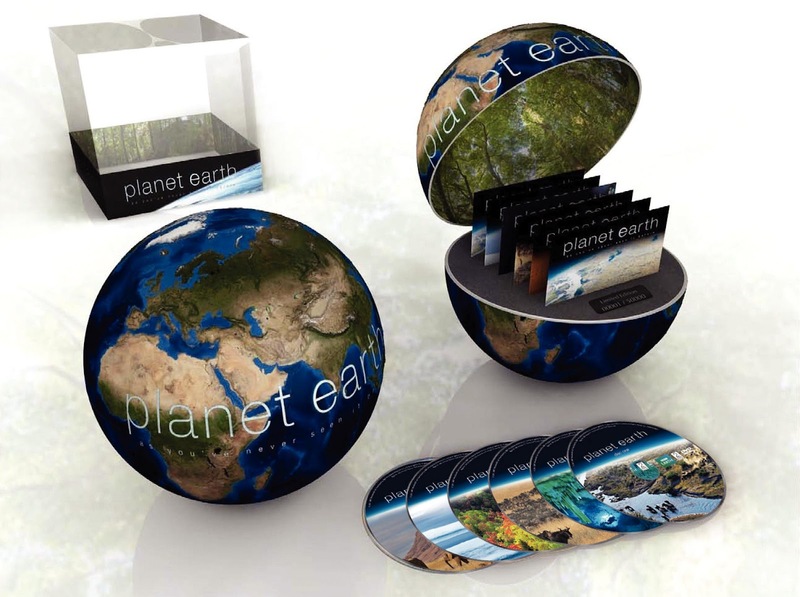 Limited Edition Planet Earth Globe: this astonishing 11-part BBC series is brilliantly narrated by Sir David Attenborough and sensibly organized so that each 50-minute episode covers a specific geographical region and/or wildlife habitat (mountains, caves, deserts, shallow seas, seasonal forests, etc.) until the entire planet has been magnificently represented by the most astonishing sights and sounds you'll ever experience from the comforts of home. 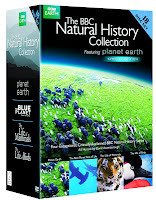 The winner will also receive a Frozen Planet poster! The Life of Mammals: Sir David Attenborough's extensive series spans the globe in its effort to examine the mating, social and food gathering rituals of 4,000 species of mammals. The Life of Birds: The Life of Birds traverses the globe, covering 42 countries and examining over 300 different species. Ultra slow motion film unravels the complexities of bird flight and ultraviolet cameras reveal the world from a bird's point of view. To enter, just leave a comment stating what natural wonder you'd most like to visit. Be sure and leave your email so that I can contact you if you win. Enter by May 1. Open to US residents only (sorry!). The winner will be chosen by random.org and contacted by email, and given 48 hours to respond with a mailing address or I'll have to choose another winner. Good luck! I want to see the geyser at Yellow Stone! I would love to see the Galápagos Islands. I'd love to see Victoria Falls. Victoria Falls. Thank you for the chance to win! I would love to see the Amazon rainforest, the variety of birds and animals would be awesome, and I love to take photos! We really enjoy the nature shows on BBC. I want to see everything but would like to start with StoneHenge. I want to see lions in the wild. Thanks for the chance to win this awesome giveaway! I would like to see the Serengeti national park. Angel Falls, one of the biggest spectacular fall I have not been to yet. Thank you for the chance. I'd love to see the Galapagos Islands. I'd love to visit iceburgs in Ice Land. I want to visit the pyramids of egypt! I have always wanted to see the Pyramids. I would love to see the Galapagos Islands or an active volcano! Nice videos! I would love to visit the Galápagos Islands. Thanks for this contest! I would love to visit the Galapagos Islands.